Two time periods—Regency England and contemporary Chicago—are woven together when Talie Ingram finds an old journal belonging to her great-great-great grandmother, Cosima Escott. Through Cosima's entries, Talie learns that her family was once considered cursed with feebleminded offspring, the result of a genetic disorder (Fragile-X) that may have been passed down to Talie and her sister. Unwilling to face the implications their discovery might have on her own life, Talie tucks the journal back into secrecy, until she begins to see signs of developmental delay in her son. 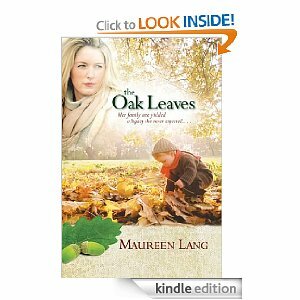 Visit The Oak Leaves to pick up your FREE copy! !